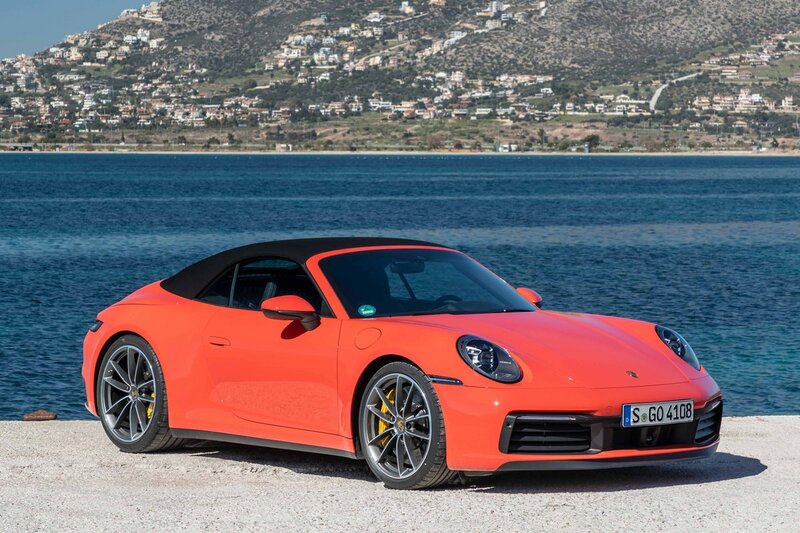 Porsche 911 Cabriolet Boot Space, Size, Seats | What Car? 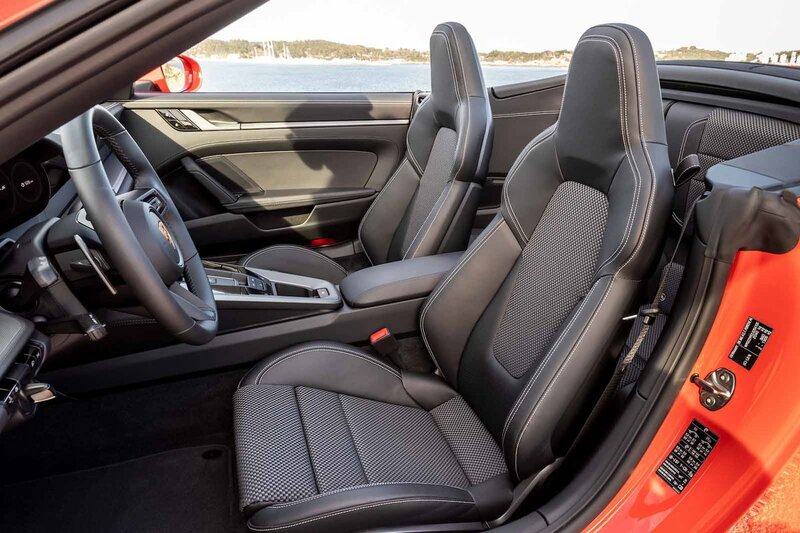 Both front seats are mounted low to the floor, so there's a decent amount of head room even for tall adults, and enough width to give plenty of breathing space between you and your passenger. Storage space is less generous. The glovebox is deep but quite narrow, making it hard to fit more than a few documents inside. You get a couple of pockets in each door that can take a reasonable amount of loose items, but are too small for an ice scraper and de-icer to fit comfortably. Those in the back do with a single shallow tray between the rear seats. 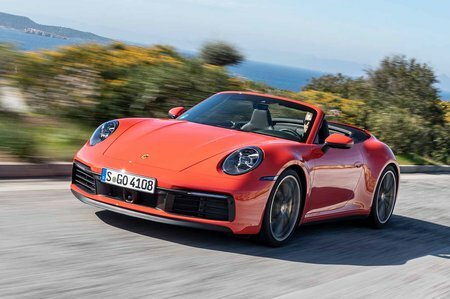 While the 911 Cabriolet does, technically, have a pair of rear seats – with Isofix child seat mountings, at that – it’s not really a legitimate four-seater. The rear seat backs aren’t reclined at all and there’s very little leg room, so they’re best left for kids, really short folks or people you don’t like – or as an extra spot to stow luggage. With the roof up, head room is more generous than you might think, but anyone 5’ 5” or over will probably find their head brushing canvas. And, although getting in and out is easy enough with the roof down, raising it leaves a very tight gap for rear seat access. The main luggage area is in the nose of the car. It might look small, but there’s enough space for a soft weekend holdall or a few shopping bags. That said, you do get more space in front-engined sports cars like the Jaguar F-Type Roadster.